All of these issues may be resolved through gentle chiropractic adjustments to the spine by Pediatric Chiropractic Specialist, such as Dr. Sheader. By getting your baby or child checked for subluxation, you are insuring that your child has the best possible chance at life. Who wouldn't want that? Here at New Life Chiropractic we use the adjusting tool known as an Activator. This apparently simple looking "T" shaped tool offers amazing accuracy and flexibility. The doctor can set the unit to adjust any size person from a new born infant to a 500-lb adult and all of us in-between. The tool is so accurate and precise that it can put a bone back in place gently and quickly. It has been our experience that the human body accepts the Activator adjustment easier and holds that adjustment longer than the traditional "manual style" adjustment method. The Activator method is now the number one adjustment method used in chiropractic, the most widely researched chiropractic technique and the only instrument adjusting technique with clinical trials to support its efficiency. Kinesiology:-n. The study of muscles and their movements, esp. as applied to physical conditioning. Jokingly referred to as "The Voodoo Factor", Applied Kinesiology or muscle strength testing, is a scientifically based and researched technique. First receiving scientific attention in the second half of the 20th century through the work of Dr. George Goodheart. The testing results implicated that at a level far below conceptual consciousness the body "knew", and through muscle testing was able to "signal", what was good and bad for it. Further work by Dr. John Diamond refined this specialty into a new discipline called Behavioral Kinesiology. Dr. Diamond's startling discovery was that indicator muscles would strengthen or weaken in the presence of positive or negative emotional and intellectual stimuli, as well as physical stimuli. Using Applied Kinesiology testing in our practice allows the doctor to deal with the patient's body directly, achieving results with great speed and accuracy. Why do we feel the way we feel? How do our thoughts and emotions affect our health? Are our bodies and minds distinct from each other or do they function together as parts of an interconnected system? The human body is an amazing multi-faceted and synergized creation. Therefore, every aspect of this life has an effect on your health. Did you know that you have specific organs in your body that handle certain emotions for you? For example, your liver deals with "anger", your kidneys "fear", and your lungs "grief". If we do not process a negative emotion thoroughly, it can become "trapped" or "blocked" in the cells of the body causing issues years down the road. Neuro Emotional Technique or NET, can help identify the unresolved real (or imagined) event and assist the body in releasing its lingering emotional charge, changing not only your physical health but mental and spiritual health as well. 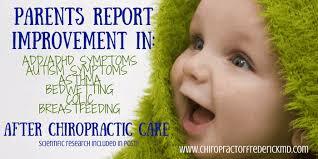 trigger point therapy is not a miracle cure for chronic pain...but it helps. The lymphatic system has three main roles: it is part of our immune system, maintains fluid balance and is essential for the absorption of fats and fat-soluble nutrients. Lymph vessels drain fluid from virtually all our tissues to control fluid balance and to deliver foreign material to the lymph nodes for assessment by immune system cells. The lymph nodes swell in response to infection, so-called swollen glands, due to a build-up of lymph fluid, bacteria or other organisms and immune system cells. Lymph nodes may also become swollen due to direct infection, diseases or conditions. Lymph nodes are responsible for filtering lymph and providing part of the adaptive immune response to new pathogens - the part of our immunity that has a "long memory". Research is showing that a buildup in toxicity in the body's lymphatic system is a major contributor to all auto-immune diseases. Next to your body's daily water requirement, regular lymphatic massage is a useful tool in assisting the lymph in maintaining the strength of the body's immune system. The BioElectrical Impedance Measurement or “BIM” assessment is a state-of-the-art tool designed to measure 58 different electrical “circuits” in your body related to specific organs and systems. This enables your doctor to assess what level your present health is at and most importantly, where your body is struggling. BIM devices have been constantly used in medicine to non-invasively obtain important health information. Some of the more recognizable devices include EKGs and EEGs used to measure heart and brain function. 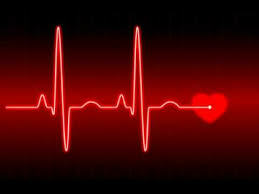 Every day, your heart beats 100,000 times, sending 2,000 gallons of blood surging through your body. Two-thirds of your life the heart is at rest, meaning if you live 100 years your heart will be at rest for 67 of those wonderful years! WOW! The heart is the best proxy of nutritional status of the entire body. It receives the complete blood supply every minute and gets the first choice of what is available. "From our experience since 1930, acting as a clearing house for nutritional information regarding the heart, we can say that we find no condition, either directly or indirectly, so responsive to nutritional therapy as that which is reflected in heart conditions". Using 21st century technology, the Heart Sound Recorder (HSR) is the prodigy of technology that Dr. Royal Lee had invented in 1937. In most healing modalities, the stethoscope is used to assist the practitioner in the science of observation. The technology of the Heart Sound Recorder assists the practitioner in seeing what they are hearing when they are observing the internal sounds of the body. This allows the practitioner to acquire, display, record and save heart sounds. The HSR is classified as a low risk general wellness device and has ETL Certification of product safety. Did you know your ankle, of all places, may have something important to reveal about your health? The ankle-brachial index test is a quick, noninvasive way to check for peripheral artery disease (PAD). The disease occurs when narrowed arteries reduce the blood flow to your limbs. PAD can cause leg pain when walking and increases the risk of heart attack and stroke. 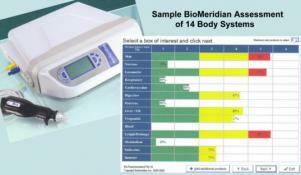 It is important that we use every tool possible to help determine any assitance your body may need. Food intolerance is much more common than true food allergy. However, many people are unaware that they suffer from food intolerance because their symptoms may vary widely and often appear hours, or even days, after the causative agent is consumed. ALCAT testing is based on the understanding that food intolerances arise from activation of cellular responses of the innate immune system. Instead of perceiving them as harmless, the immune system responds to specific foods and other substances as though they were threats requiring aggressive targeting, which, in fact, they may be. Our goal for you is Whole Body Wellness. In our world today we are exposed to over 82,000 toxins in our air, food and water that 100 years ago did not exist. Discovering if your body is dealing with food or environmental allergies, battling with chemical sensitivity or struggling with a hormone imbalance is an important aspect of our care for you. We have numerous ways to further your knowledge of natural health care. Our patients are invited to attend in office workshops to discuss important health concerns, Trigger point therapy, rehab exercises, and nutritional cleansing are topics available to help you get and stay healthy. Our doctors volunteer their time to present Health and Wellness workshops in our community. These workshops are also available for businesses, clubs, churches and other organizations. With over 22 different topics to choose from including diabetes, fibromyalgia, balancing hormones naturally and on-the-job injuries, you are sure to find valuable information to help keep your family healthy. If you would like one of our doctors to speak at your business or organization, please see the front desk to schedule.